Maybe it starts with the sniffles. Maybe it starts with a cough and mild aches and pains. Maybe it’s a long day with an upset stomach. Whatever the cause, curing your child’s cold symptoms is going to take some know-how. This is a great place to start. Does your child’s forehead feel hot? Does he or she wake up in a cold sweat? Fevers can be scary, but how hot does one need to be before a parent should find a way to cool it? If your infant’s diaper is dry, has a dry tongue or mouth, or is feeding poorly, call a health-care professional immediately or go to the nearest emergency room. 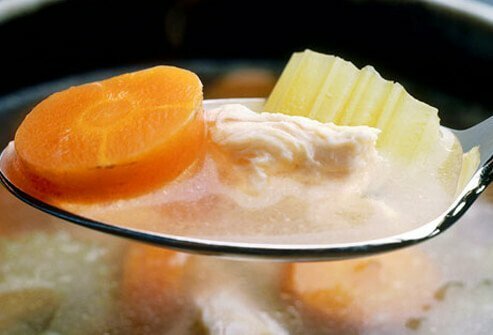 Even without the possible inflammation-reducing powers of chicken soup, it's a nutritious brew that can improve health and help promote hydration. But don’t stop at just chicken soup. Give your sick child lots of other fluids, like milk, water, or an electrolyte solution like Pedialyte or Gatorade. Finally, after nose-blowing has left your child’s face a little raw, try petroleum jelly under the nose to soothe irritated skin. Medications that relieve multiple symptoms may be tempting, but use them cautiously. Stick with medications that match your child’s symptoms. That means it’s OK to use multi-symptom over-the-counter treatment – just as long as those symptoms match the ones your child is suffering from. To make sure you’re not over-medicating your child, read the directions on the back of all medication and follow them carefully. If your OTC medicine came with a measuring device, use it. Don't choose products that treat symptoms your child isn’t suffering from. 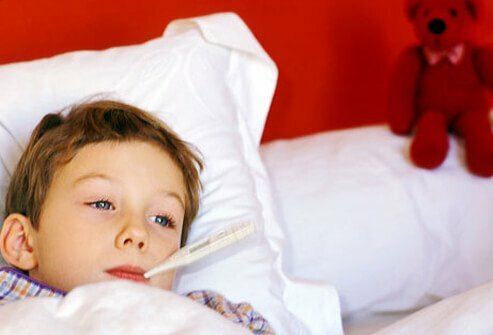 A multi-symptom cold medicine would be a poor choice, for example, for a child who is only experiencing a sore throat. 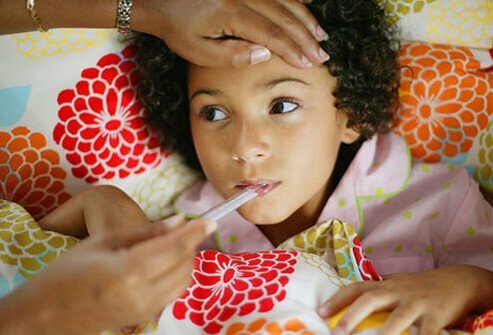 Oftentimes children's cold medications come with acetaminophen -- the same as Tylenol. So if you don’t read carefully, it can be shockingly simple to over medicate your child. Medicine comes with a “drug facts” box, which is a great place to start. Compare ingredients found there to reduce the risk of an overdose. When Should I Choose a Decongestant, an Expectorant, or a Suppressant? 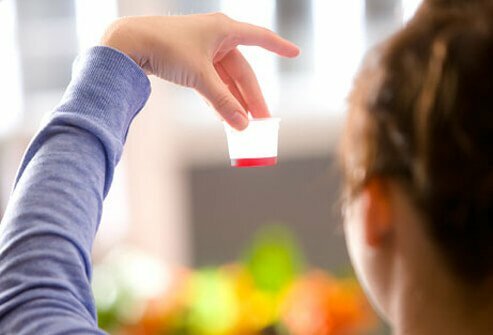 Decongestants and expectorants work in different ways, and both remedies can lead your child to better health when used in the right way. Stuffy nasal passages shrink when decongestants are used. This helps relieve pain. These forms of medication are available as nasal sprays or drops or as oral treatments. Nasal drops or sprays should be discontinued after being used for two or three days straight. On the other hand, expectorants help to thin mucus, making it easier to cough up. For an expectorant to work properly, your child needs to drink plenty of water. 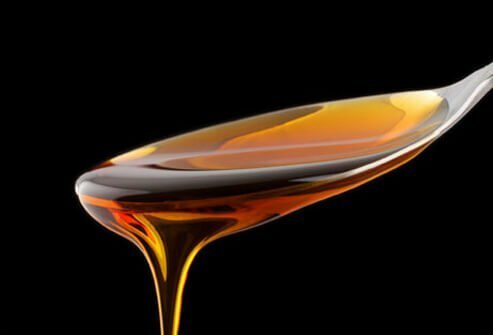 Cough suppressants don't do much in the way of removing mucus. That’s why it is often not to suppress a cough, even the cough is keeping a child awake at night. Don’t give any cold medication to anyone under 4 without speaking to your child’s doctor. Over-the-counter treatments can be a great remedy for the common cold, but exercise caution when using them. Administer OTC medication only according to the directions. 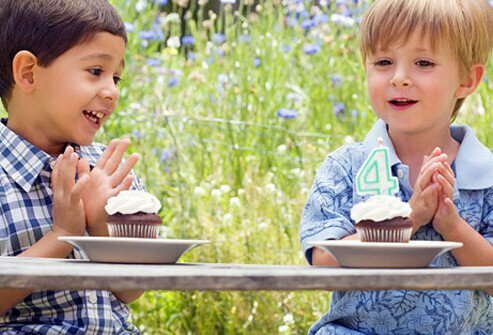 Make sure you base the dosage on your child's weight and age. And don’t forget to read the "Warnings" sections for potential side effects and drug interactions. Those are all very different measurements. Also, use the measuring device that is packaged with the medication for most accurate dosing. One of the best common cold remedies is rest, so let your children sleep as much as they need to. If you need to skip a dose of over-the-counter medicine so that your child may sleep longer, go ahead and skip the medicine. Remember: you’ll have a chance to administer that medicine again when your child wakes up, or possibly the next morning. Take your child to a doctor if he or she has been taking an OTC medicine for four days or longer. 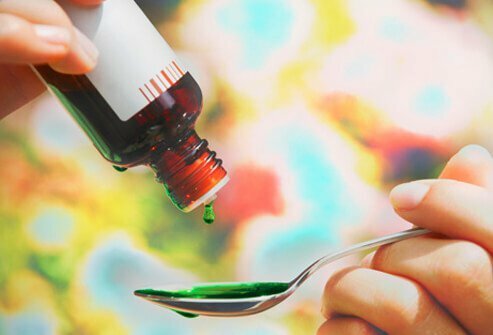 Does It Really Matter Whether I Use a Kitchen Spoon For Medicine? It can make a difference. Common kitchen spoons vary in size. 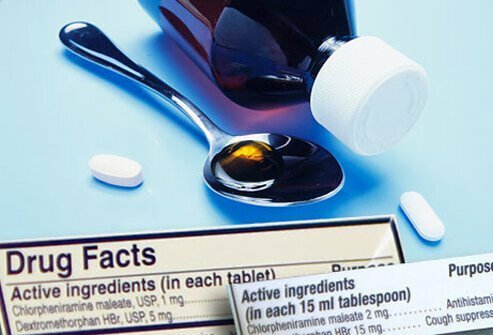 It is safer to use the cup or spoon that comes with over-the-counter medication. 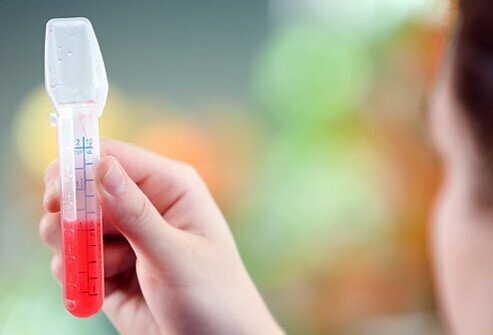 Wondering what to do if no measuring device came with the medication? The label will recommend something like 2 teaspoons be administered. In that case, use an actual dosing cup or measuring spoon that comes with teaspoon marks. You can then rest easy knowing you’ve given him or her the right amount. So the first dose didn’t agree with your child, who went and spit it out or vomited after taking medicine. A concerned parent may want to follow up with another full dose, but don’t do it. Some of that medication may have been absorbed, and if you give another full dose you risk overdosing him or her. It’s better to call the pediatrician in times like this. If your child tends to spit up medication because he or she doesn’t like it, ask your pharmacist if it’s alright to mix the remedy with a bit of food or drink. Try to avoid taking medicine in front of your children, whether it’s for a prescription or over-the-counter. Steven J. Parker, MD; associate professor of pediatrics, Boston University School of Medicine; WebMD pediatric consultant; co-author, Dr. Spock's Baby and Child Care (1998 edition). 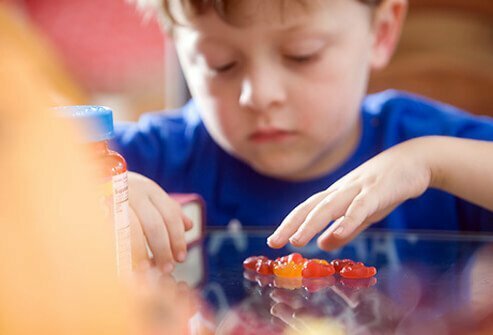 Nemours Foundation/KidsHealth.com: Medications: Using Them Safely." American Society of Health-System Pharmacists/SafeMedication.com: "Medications and You." 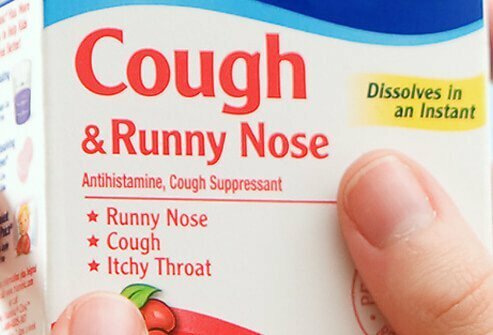 U.S. Food and Drug Administration: "Public Health Advisory: Nonprescription Cough and Cold Medicine Use in Children," "How to Give Medicine to Children," "Preventing Iron Poisoning in Children." Children's Hospital of Philadelphia: "Children Act Fast…So Do Poisons." 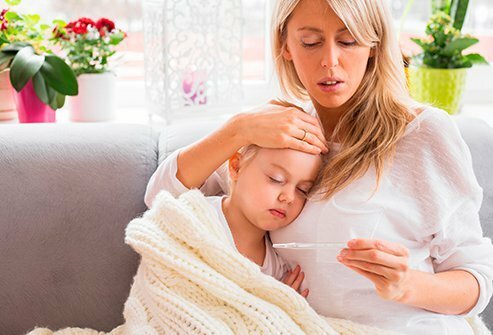 WebMD Medical Reference: "Kids' Cold Medicines: New Guidelines," "Soothing Your Child's Cold," "Natural Cold & Flu Remedies Slideshow," "Children and Colds," "Strep Throat." Palos Community Hospital, Palos, Ill.: "Medication Safety." University of Maryland Medical Center: "Common Cold." 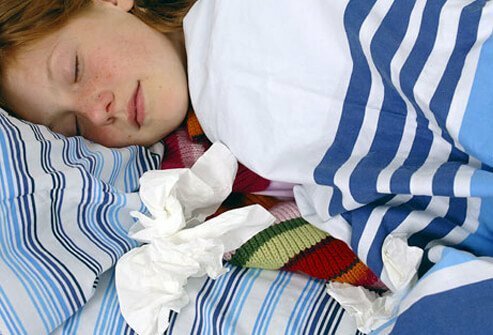 University of Michigan Health Services: "Colds and Flu: Upper Respiratory Infections."